Imagine open-ended math tasks that get students asking questions as well as answering them. Creative Math Prompts lead learners to build and test their own ideas. Check out this fun and challenging problem about skip-jumping patterns from the people at mathpickle.com. Why do bright math students in the U.S. fall short in international comparisons? Helping these students reach their full potential may mean challenging some popular beliefs. The Mathologer introduces us to beautiful pictures created just from multiplication and "clock arithmetic." Amazing! Sign up for the 5820 Math Newsletter. Keep up with work I am doing as well as the latest in math talent development: classroom resources, tools and strategies, challenging and engaging math problems, interesting articles, websites, and blogs. A Creative Math Prompt is an image (often quite simple) that contains the seeds of a deep math investigation. The prompts are open-ended yet connected to content goals. As you and your students make observations and generate questions to explore, you develop your mathematical creativity as well as problem-solving and reasoning skills. Ten Plus One is a free tool designed to help teachers transform traditional math tasks into new tasks that promote learning with deep understanding. It consists of ten strategies to make tasks deeper and one strategy to enhance complexity. Deep Math Projects are open-ended projects that you can extend by continuing to ask new questions. The problems are self-differentiating and often have multiple solutions and/or solution paths. Each of the nine Monthly Problem Sets for grade 5 contains a grid of 15 problems designed to challenge talented and adventurous students. The problems are organized by content strand: Number and Operation; Algebra; Geometry; and Data and Probability, Rates and Ratios. There is also a General category just for fun! mathpickle.com has collection of deep, open-ended, and challenging (some unsolved!) math problems for students of all ages searchable by grade level, including plenty for very young students. Each problem has been found or created by a professional mathematician and fits comfortably into a 45-60 minute time frame. nrichmaths.org has an extensive collection of rich, engaging math problems searchable by age and concept. There is plenty of support for teachers, and students may submit solutions for possible publication online. Ken-ken puzzles are like sudoku, but with a challenging mathematical twist. The puzzles develop not only computational facility but problem-solving skills, number sense, and a deeper understanding of number properties. This website will generate ken-ken puzzles for you based on your choice of grade level, mathematical operations, the size of the grid, and level of challenge. Zukei puzzles involve searching for geometric shapes hiding in grids or dots. The focus is on reasoning about properties of two-dimensional figures. The puzzles come in all levels of difficulty. You and students can easily create your own as well. James Tanton's Exploding Dots has taken the math world by storm over the past couple of years. Using a simple visual model, students explore place value, addition, subtraction, multiplication, division, and beyond in different base systems. Beast Academy is a full math curriculum for gifted and advanced learners in grades 2 – 5. (I would not recommend it for other students.) It is produced by the Art of Problem Solving people who are known for their materials for gifted secondary students. The focus is on problem solving and deep conceptual understanding. An online version of the program is said to be coming soon. From the same people who produced Project M3 for upper elementary students, Project M2 "contains eight curriculum units designed for grades K-2 to foster inquiry and engage students in critical thinking, problem solving, and communication activities...[with a] focus on “in-depth” mathematics using research-based practices and standards in mathematics education and early childhood education. This series from Kendall Hunt is well known throughout the US for providing research-based, deep, challenging math curriculum for advanced learners. Each module comes with extensive teacher support, and you may use the projects as curriculum units or as a supplement. The only downsides: materials are rather expensive and require a fair amount of preparation time for teachers. Math Building Blocks is a free online book in which colored blocks are used to represent prime numbers and prime factorizations. The blocks help adventurous learners visualize, analyze, and connect concepts across middle school math standards—everything from factors, multiples, GCFs, and LCMs to fraction computation, properties of exponents and radicals, and algebra. Ten Plus One is a free tool designed to help teachers transform traditional math tasks into more challenging tasks that promote conceptual understanding. It consists of ten strategies to make tasks deeper and one strategy to enhance complexity. Each Intrepid Math problem set contains eight challenging, open-ended math problems for advanced and adventurous learners in grades 4 – 6. 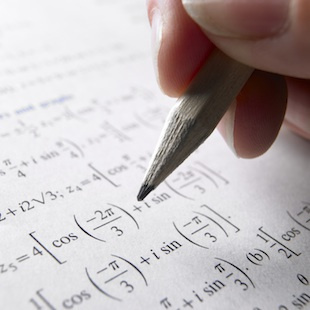 With traditional math problems, students learn to solve. 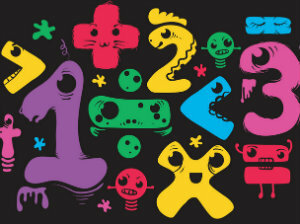 With Intrepid Math, students solve to learn. Each of the nine Monthly Problem Sets for grade 6 contains a grid of 15 problems designed to challenge talented and adventurous students. The problems are organized by content strand: Number and Operation; Algebra; Geometry; and Data and Probability, Rates and Ratios. There is also a General category just for fun! mathpickle.com has collection of deep, open-ended, and challenging (some unsolved!) math problems for students of all ages searchable by grade level. Each problem has been found or created by a professional mathematician and fits comfortably into a 45-60 minute time frame. James Tanton's Exploding Dots has taken the math world by storm over the past couple of years. Using a simple visual model, students explore different base systems, decimals, algebra, and related challenging problems, some of which are unsolved! This excellent youtube challenge presents videos on popular advanced math topics to a general audience. They also challenge viewers to answer questions and solve related problems. Unfortunately, they recently stopped producing new content, but the original content remains available for viewing. The "Mathologer" is Australian mathematician Burkard Polster, and he makes beautiful and informative videos about popular math topics such as infinity, rubik's cube, irrational numbers, infinity, higher dimensions, fractals, etc. He also likes to give you challenging problems to think about—and he wears very cool math t-shirts! The ACCME book series contains challenging, engaging activities that extend and deepen students' conceptual understanding of advanced middle school concepts. Deep Algebra Projects are rich, complex mathematical and real-world investigations that stretch advanced learners out of their comfort zones. The projects enhance students' abilities to think independently, flexibly, and with deep understanding. brilliant.org offers five challenging math or science problems per week at three levels: basic, intermediate, and advanced. You may view solutions submitted by others and compare them to your own. The site also hosts a Wiki of the Day. All of this is free, though if you subscribe, you gain access to additional features including fascinating math and science courses. cut-the-knot.org, which the author, mathematician Alexander Bogomolny, calls "Interactive Mathematics Miscellany and Puzzles" contains a massive collection of challenging problems and interesting articles. This is my personal favorite website of all time. Grant Sanderson creates incredible animations to support the clearest and most beautiful explanations—and explorations—of advanced mathematical concepts that I have ever heard. I wish I had understood half of what I have learned from these videos when I was originally exposed to these ideas! Replace memorization by mathematical understanding. Better Explained is an excellent website whose author explains challenging advanced math concepts by emphasizing intuition first. In his words, "Better Explained focuses on the big picture — the Aha! moment — and then the specifics." Do you know of other excellent resources that support deep conceptual understanding for advanced and adventurous math learners? If so, please contact me so that I can include them on this site. Thank you! I have been writing posts for middleweb.com every few months or so. Check them out! Math educator Jerry Burkhart expanded his horizons this summer when he taught a 3-week math exploration course to a class of 22 gifted middle level students from across India. Learn what he discovered about the similarities and differences in U.S. and India math education. Mathematics author and consultant Jerry Burkhart is back with more ways to get students excited about the magic of numbers and ready to become “adventurous learners.” His interactions with a middle grades enrichment class may spark engaging ideas of your own. So often we miss opportunities to deepen our students’ thinking about mathematics that would require just a few moments of our teacher time. Take a minute to look at these 10 simple strategies from Jerry Burkhart that transform formulaic math problems into explorations. Imagine an open-ended math task that gets students asking questions as well as answering them. Jerry Burkhart shows how a problem like this can help teachers differentiate instruction for advanced students while stimulating curiosity and perseverance for all learners.